Watch our new stop motion animation and read the accompanying post about how Skills for the Future trainee Cat Doyle has tracked changing International student patterns at GSA. 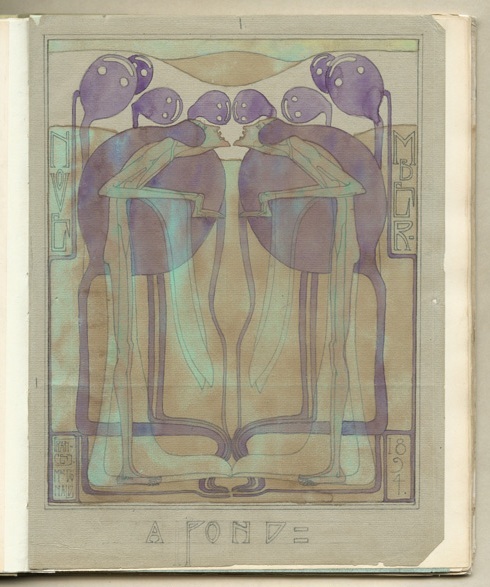 The International Links project stirred a curiosity in me about the history of the Glasgow School of Art’s popularity with students from overseas. These students currently make up roughly 30% of student intake but has this always been the case? Armed with volumes of past student records, I decided to investigate. International Student Attendance 1903-1949 Vs. 2014 from The Glasgow School of Art on Vimeo. A little contextual reading confirmed that UK universities have always been attractive to international students because few other countries have such deep rooted reputations dating back to the 11th and 12th centuries. Of course, Glasgow School of Art’s reputation doesn’t date that far back. However, we assume that various events at the turn of the 20th century, significantly the development and distribution of the Glasgow Style, have led to a similar reputation being built in a much shorter space of time. 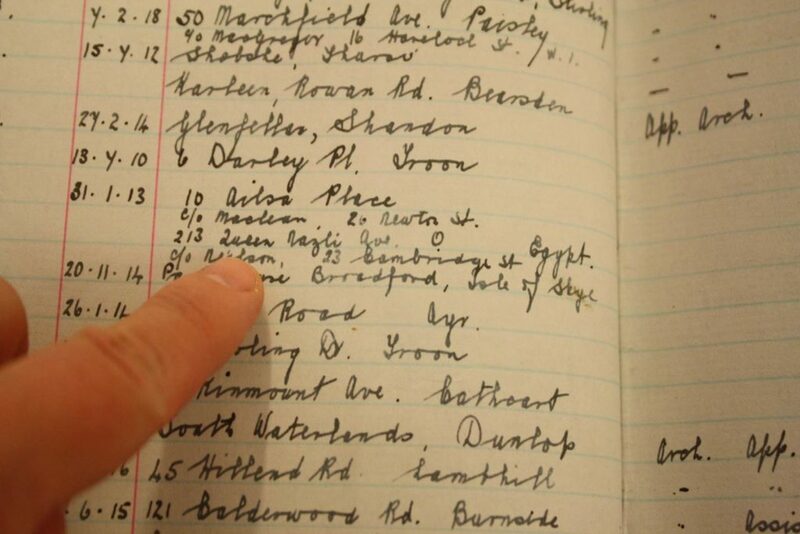 I then spent several weeks trawling through student records from GSA’s institutional archive, keeping my eyes peeled for “India” or “Brazil” scrawled amongst recognisable names of Glasgow parishes. Wondering if there was a less time consuming way, I sought knowledge from staff at the University of Glasgow who had worked on a similar project entitled International Story. Their wide eyes and knowing laughter told me the answer was no. 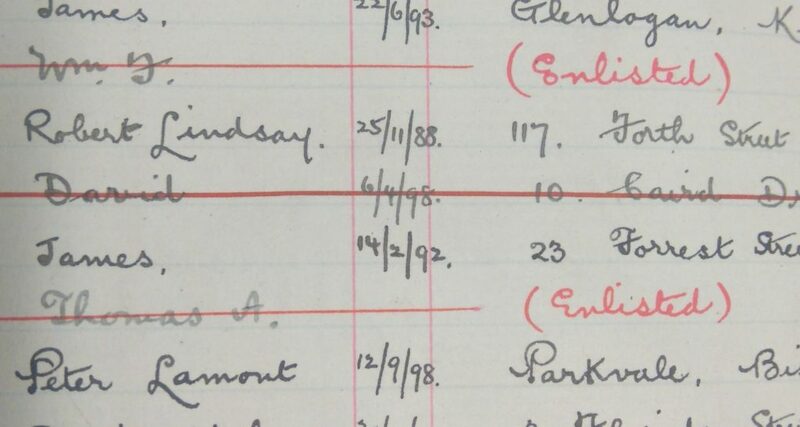 So on I persevered, poring over student registers from 1903 to 1949 and recording these in an Excel database which can be searched alphabetically by Surname, Year Attended and, of course, Country. This made the data much easier to visualise and the Archives and Collections can continue to add to this on completion of my traineeship. I uncovered approximately 120 confirmed international students in this 46 year period. 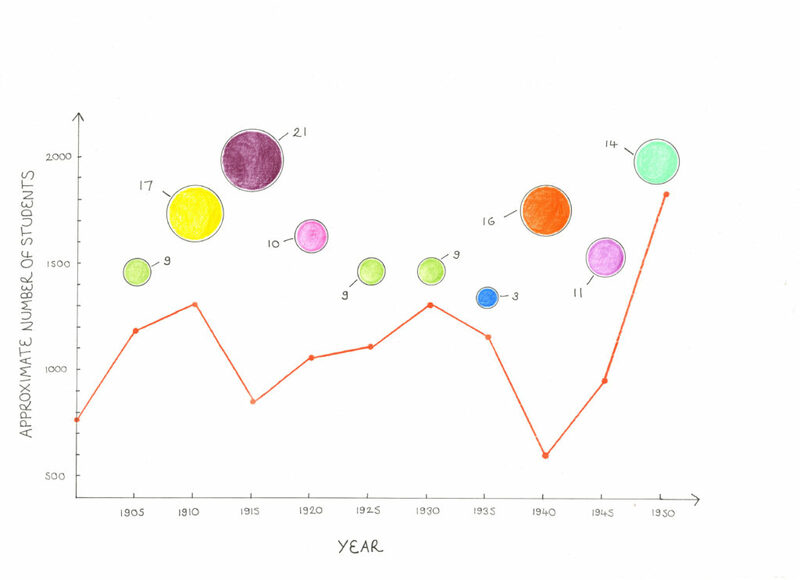 A still from the above animation showing Total and International student numbers between 1903 and 1949. It is interesting to note that both Total and International student numbers fluctuate between 1903 and 1949. Both figures rise between 1903 and onset of World War One before Total numbers fall sharply by 1915 when male students leave to join the army. Interestingly though, International numbers remain high during the same time. It was confirmed that at least eight of these were Belgian students, some likely to have been refugees. At least one of these students named Francois Brisé appears in a list of the Belgian refugees sent to Scotland, available at The Mitchell Library’s Family History website. Total numbers gradually start to climb again during the Great Depression while International numbers fall. Ironically however, more students were beginning to travel abroad during this period so that they could experience the art of other cultures. A possible reason for this is the fact that air travel became faster and more accessible with ex war planes being re-purposed for commercial travel. Improved travel links and the international appeal of the 1938 Empire Exhibition in Glasgow’s Bellahouston Park may be two factors accounting for the reason that confirmed International student numbers more than quintupled between 1935 and 1940. However, this could also be as a result of factors related to the outbreak of World War Two. In addition to the sixteen confirmed, there are approximately one hundred unconfirmed international students who also appear around this time. These students are suspected to be of western Slavic decent and they arrive at the School when Poland was occupied by Nazi Germany and their troops allied with Britain. As total student numbers rise sharply again after the war, confirmed international students remain fairly consistent with the 1935-1940 period. At this point Travelling Scholarships had become available again, likely contributing to the strong connections GSA now has with a number of international creative institutions. You can read more about these connections in the past post Wheeler’s Travels which looks at some of the travel reports produced by students during this period, a selection of which are also currently on display in the GSA Library. Presumably, the number of International students continued to climb from 1949 until the present day, leading to this very contrasting graph representing the years 2008 – 2014. 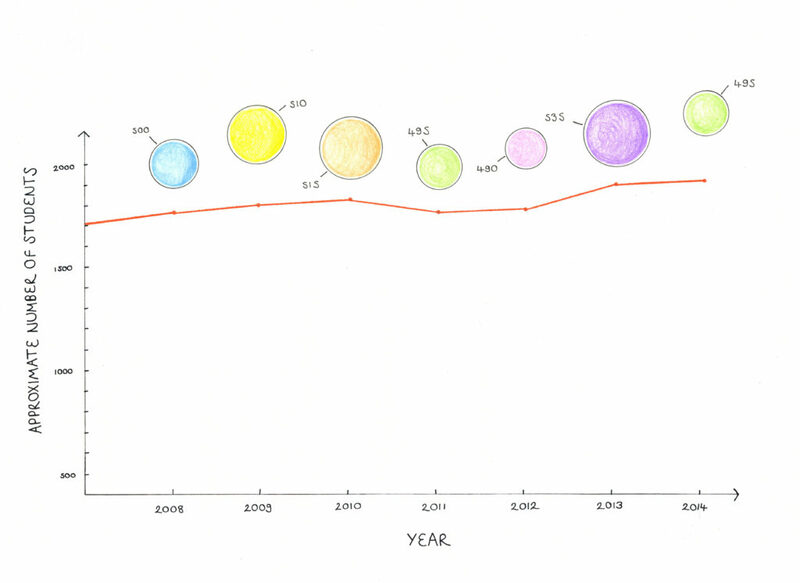 A still from the above animation showing Total and International student numbers in 2014. With this high demand for International student places, the School now dedicates a specific section of its website to supporting them. This demonstrates the commitment of the School to ensure international students continue to remain, as they always have done, part of its heritage. The data used in the animation was collected from the student registers and from Mark Clancy at GSA Admissions. The information on the latter is rounded to the nearest five for data protection purposes as it represents the years 2008 to 2014. All information represented shows students from outside the UK and Ireland’s countries of domicile.